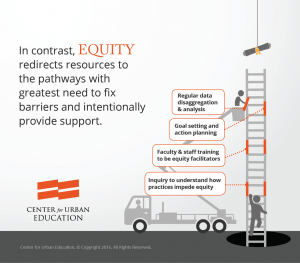 What is “equity” and how is it different from “diversity”? 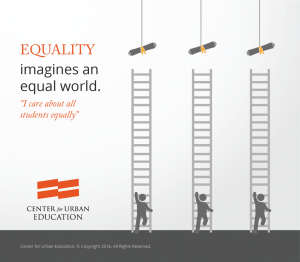 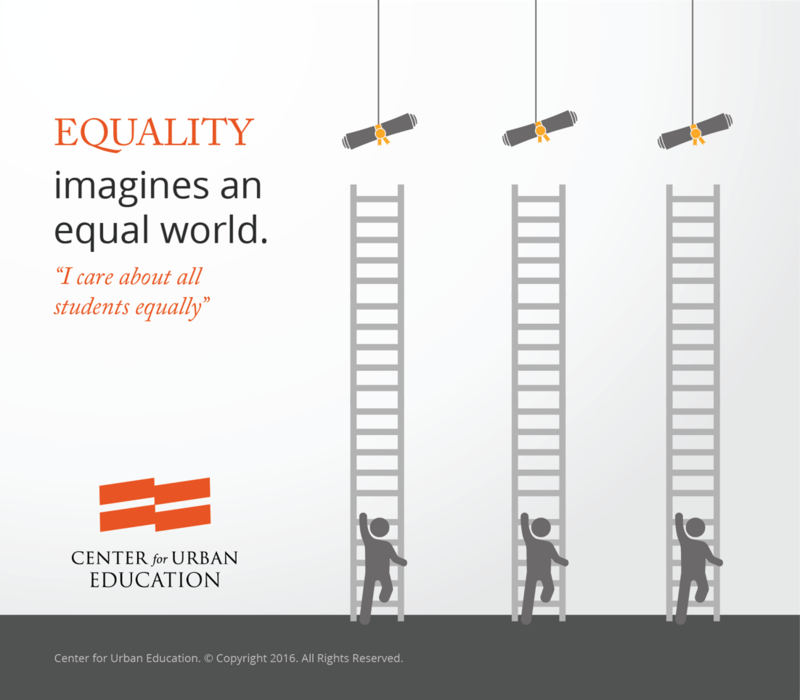 Equity refers to achieving parity in student educational outcomes, regardless of race and ethnicity. 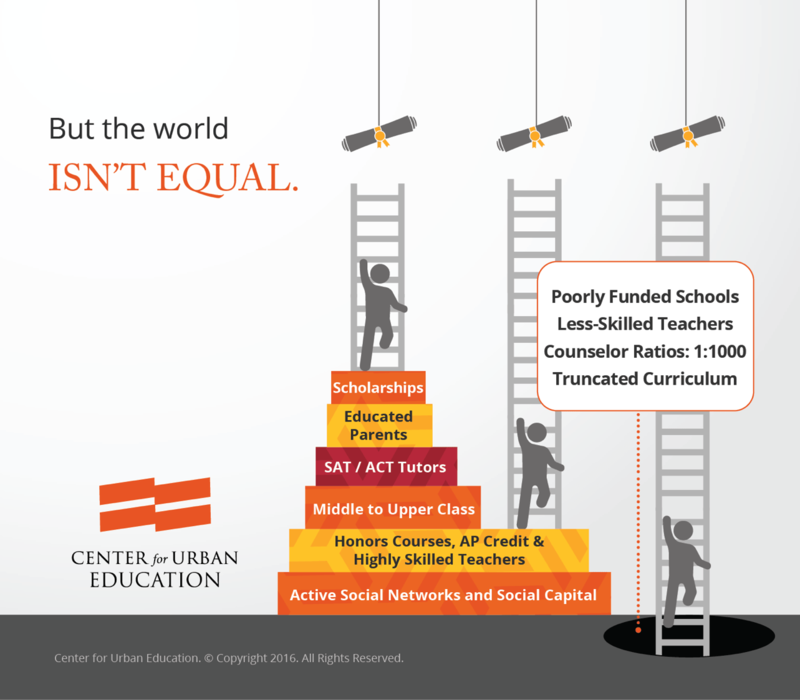 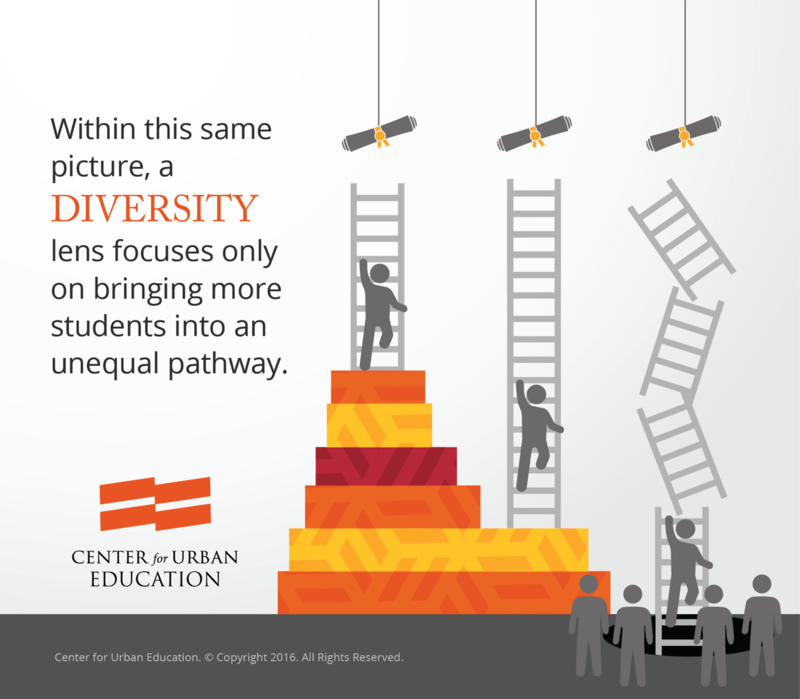 It moves beyond issues of access and places success outcomes for students of color at center focus. 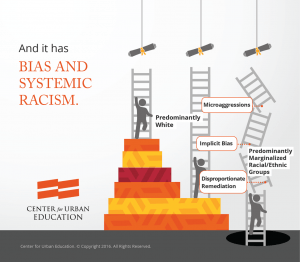 We at the Center for Urban Education focus our equity efforts specifically on race and ethnicity in light of the historical marginalization of some racial and ethnic groups in American education. 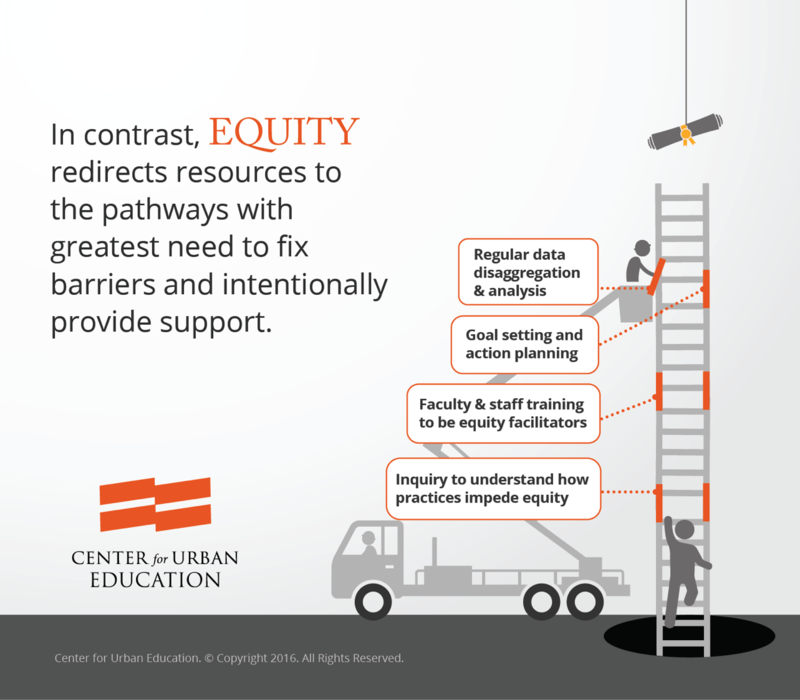 Achieving parity in educational outcomes for students of color requires that practitioners critically assess and change their practices to advance student equity. 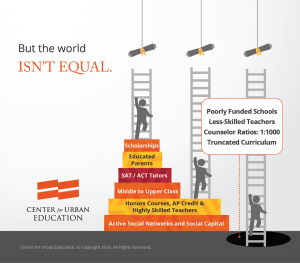 For this to happen, there must be a shared understanding that underperforming students (i.e. 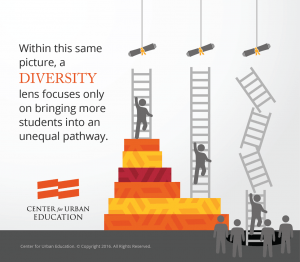 students of color) have been underserved with inadequate resources that limited their success. 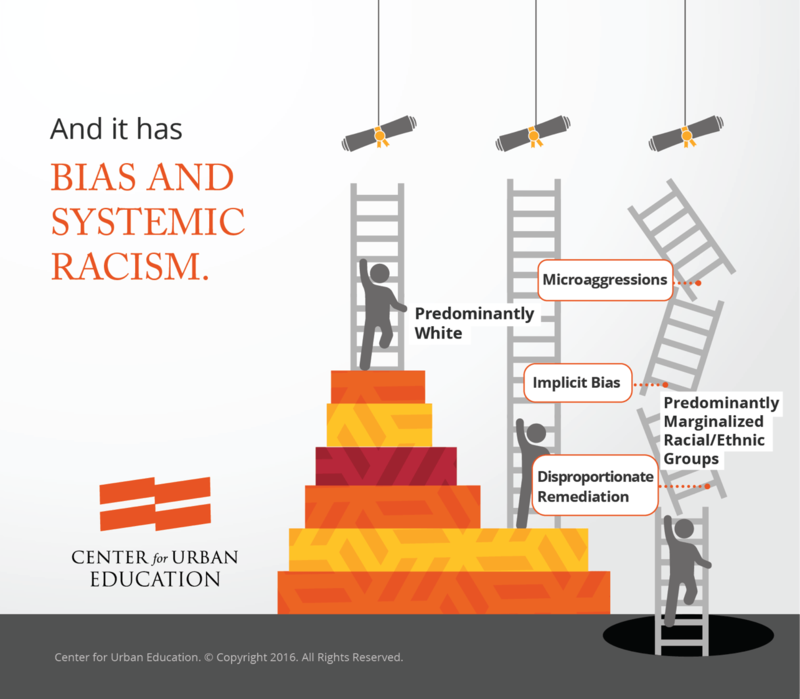 To increase student success among these populations, it takes countering interpretations that fail to notice racial inequities and providing more resources and support to students who have not received it.